Located in our Ft Pierce location. 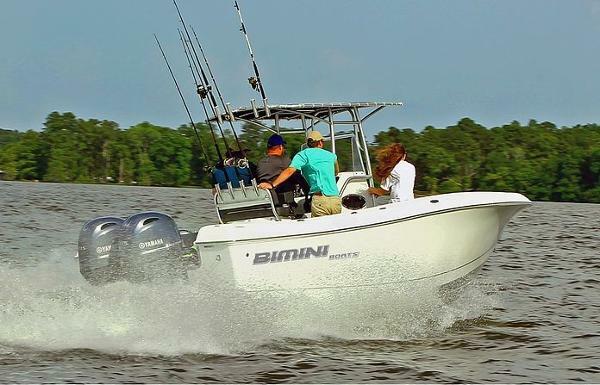 Come on by to see the Bimini 157, an affordable fishing boat. Powered by a reliable Honda 50 HP. Easy to use, easy to tow and really easy to launch and trailer. Great starter boat for fun on the lakes, creeks and rivers. Located in our Ft Pierce location. 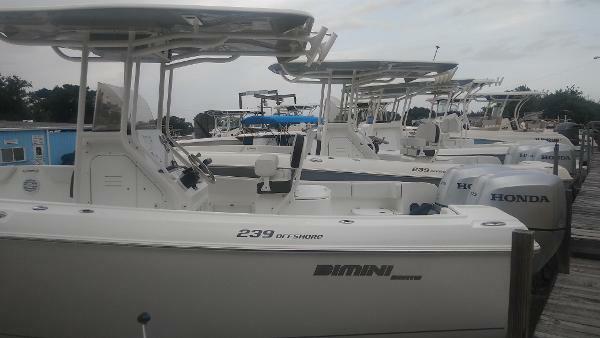 Come on by to see the Bimini 157 an affordable fishing boat. Powered by a reliable Honda 50 HP. Easy to use, easy to tow and really easy to launch and trailer. Great starter boat for fun on the lakes, creeks and rivers. Can be delivered out of Melbourne and Ft Pierce locations. Located in Ft Pierce. Welcome to our flagship 269 Off Shore. Designed for comfortable trips to Bimini Island, the 269CC is a great off shore performer. This uncompromising deep water machine loves to play in the ocean and does so with ease. 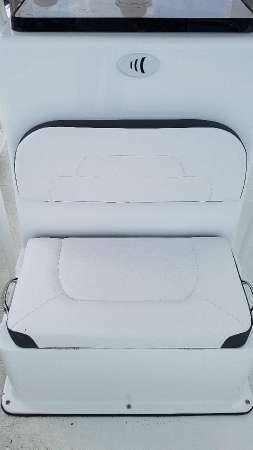 Designed to safely carry you to the fishing grounds and back no matter what mother nature has in store. Comfortable seating at the helm and in the cockpit make the 269 CC a pleasure to enjoy all day. With a great riding wide beam (9'6") hull, look no further than the Bimini 269 Off Shore. The 269 Offshore is available with your choice of twin outboard power. 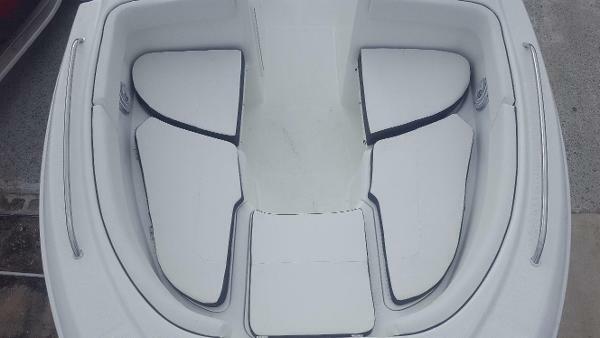 The hull is designed to handle the roughest of seas with ease. 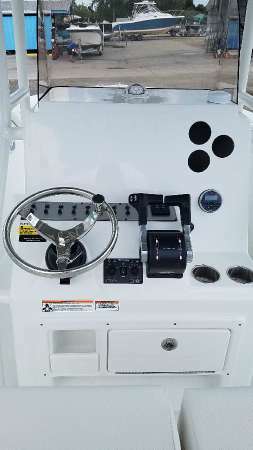 The cockpit is huge with lots of room for fishing or just good old family fun. Most competitors are 8' 6" wide. 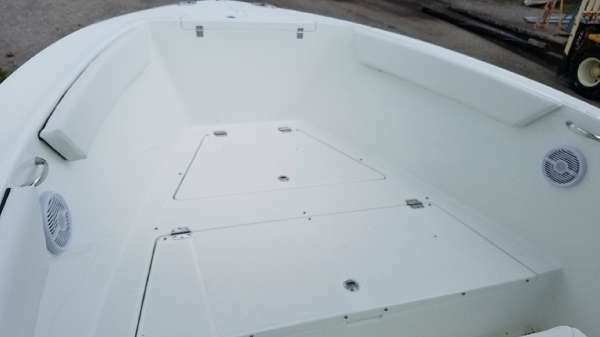 The Bimini 269CC is a full 9'6" wide hull which makes the boat feel much larger! The features on the 269 Offshore make it special. With a floor plan modeled after a 33' to 35' tournament fishing machine, the 269CC brings serious fisherpeople all the features and seaworthiness you need at a price anyone can afford. 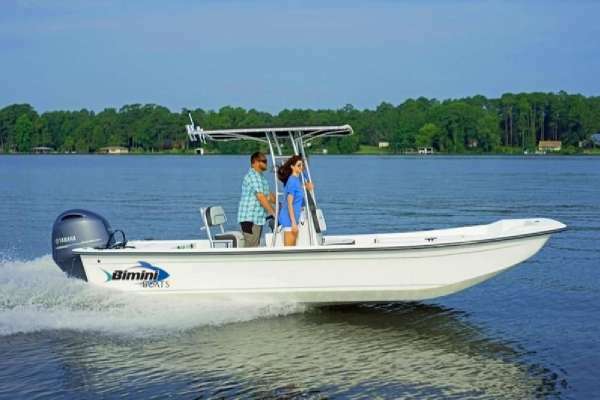 With 2 built-in tackle stations, an exceptionally wide 9'6" beam, LED-lit 45-gallon livewell, large insulated fish box, and water-resistant Yamaha instrumentation, this boat is built for full-throttle fishing. Hit the bays or go off-shore knowing you'll be comfortable and safe. 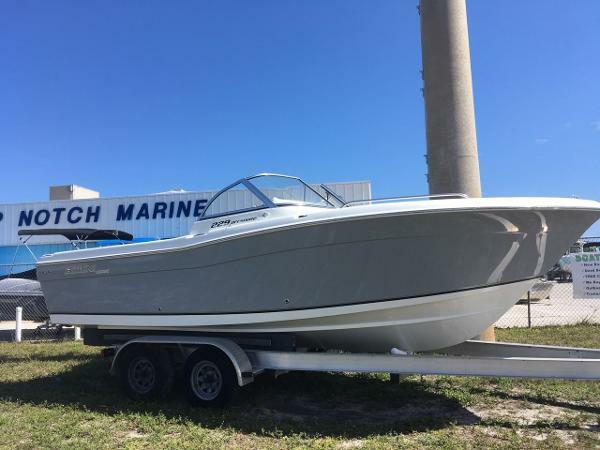 We have some of the best boats for sale in Florida. You will be amazed at the incredibly low fuel consumption of the 269 Offshore. Almost 2 miles per gallon at 25 mph and almost 3.2 miles per gallon maximum! Price plus freight, prep and fuel fee. 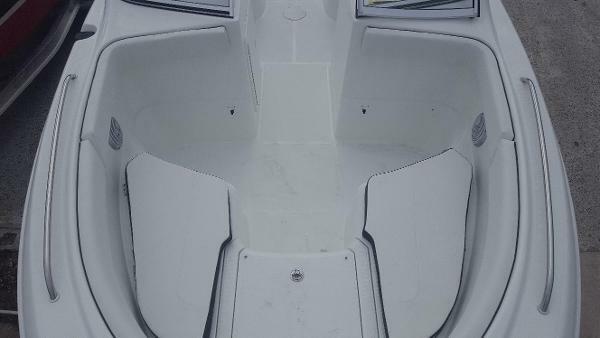 - 2018 Bimini 269 Offshore, Twin Honda 150's PRICE PLUS FREIGHT PREP AND FUEL. Grey hull located in Melbourne. 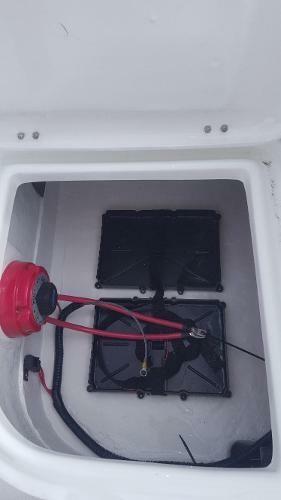 The 239 Offshore is available with your choice of single or twin outboard power. The hull is designed to handle the roughest of seas with ease. Loads of usable storage on the 239 means you can carry more and keep it all organized. Fishing is fantastic with ample rod storage and a huge cockpit. The 239 is 12" wider almost all other boats in it's class. There's no limit on features with the 239 CC. 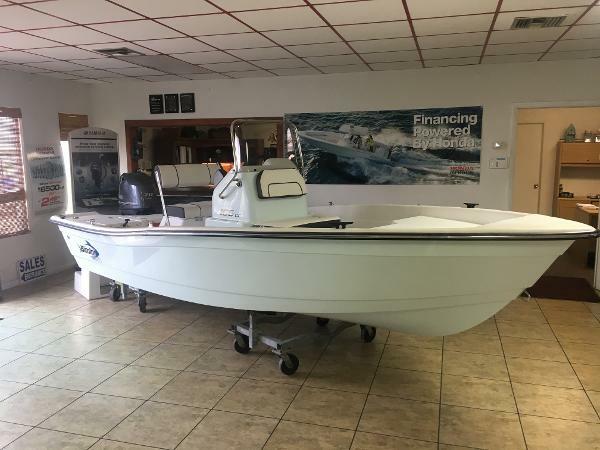 With 2 built-in tackle stations, an exceptionally wide 9'6" beam, LED-lit 45-gallon live well, large insulated fish box, and water-resistant Yamaha instrumentation, this boat is built for full-throttle fishing. Hit the bays or go off-shore knowing you'll be comfortable and safe. 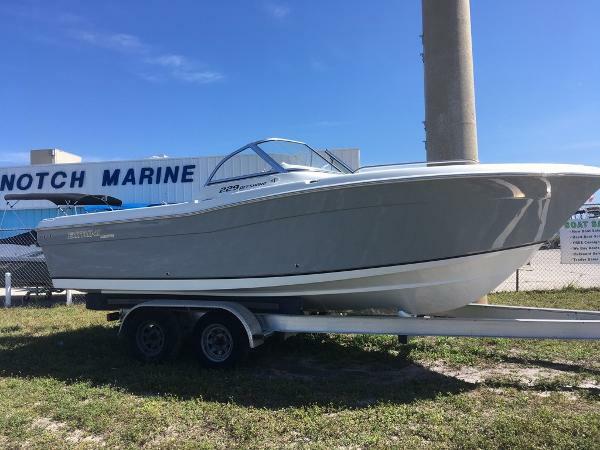 We have the best boats for sale in Florida.Price plus freight, prep and fuel charges. STANDARD FEATURES: 2 tackle storage compartments lifetime hull warranty 12 gallon fresh water tank Automatic bilge pump Cockpit courtesy lights Cockpit fresh water shower Cockpit washdown pump Compass Cooler with cushion Coosa composites construction Deluxe instrumentation panel with water-resistant switches and circuit breakers Full foam floatation High-speed baitwell pickup Hydraulic steering Large insulated fish box Leaning post with cushion Lighted 45 gallon livewell Lockable walk-in console Navigation lights Non-skid deck Self-bailing deck Stainless steel bow/stern eyes Stainless steel pop-up stern cleats Stainless steel rub rail insert Stainless steel steering wheel Tinted windshield Trim tabs 4 trolling rod holders Under gunnel rod holders SPECIFICATIONS: Length: 23'2" Beam: 9' 6" Approx. Weight: 3800 lbs Max HP: 300 hp Fuel: 110 gallons Transom Height: 30" Hull Dead Rise: 19° Draft: 19-21 Max Persons: 8 PRICE PLUS FREIGHT PREP AND FUEL. 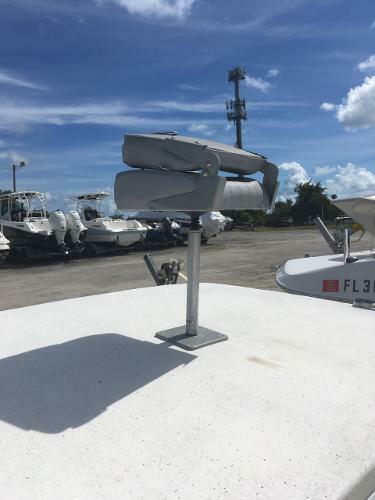 Located in Ft Pierce with white hull and twin Honda 115HP. 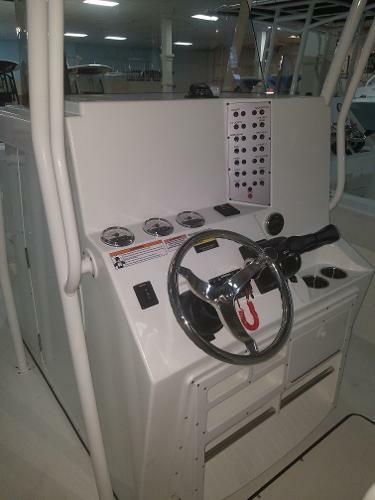 The 239 Offshore is available with your choice of single or twin outboard power. The hull is designed to handle the roughest of seas with ease. Loads of usable storage on the 239 means you can carry more and keep it all organized. Fishing is fantastic with ample rod storage and a huge cockpit. The 239 is 12" wider almost all other boats in it's class. There's no limit on features with the 239 CC. 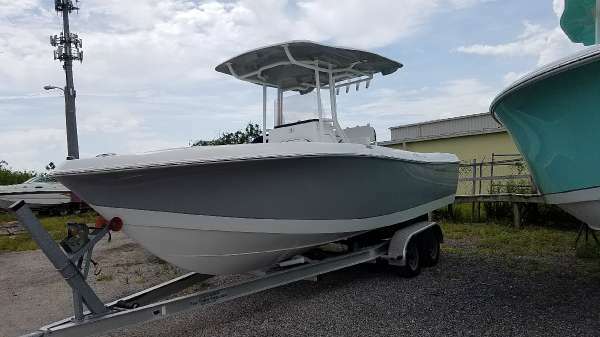 With 2 built-in tackle stations, an exceptionally wide 9'6" beam, LED-lit 45-gallon live well, large insulated fish box, and water-resistant Yamaha instrumentation, this boat is built for full-throttle fishing. Hit the bays or go off-shore knowing you'll be comfortable and safe. We have the best boats for sale in Florida.Price plus freight, prep and fuel charges. STANDARD FEATURES: 2 tackle storage compartments lifetime hull warranty 12 gallon fresh water tank Automatic bilge pump Cockpit courtesy lights Cockpit fresh water shower Cockpit washdown pump Compass Cooler with cushion Coosa composites construction Deluxe instrumentation panel with water-resistant switches and circuit breakers Full foam floatation High-speed baitwell pickup Hydraulic steering Large insulated fish box Leaning post with cushion Lighted 45 gallon livewell Lockable walk-in console Navigation lights Non-skid deck Self-bailing deck Stainless steel bow/stern eyes Stainless steel pop-up stern cleats Stainless steel rub rail insert Stainless steel steering wheel Tinted windshield Trim tabs 4 trolling rod holders Under gunnel rod holders SPECIFICATIONS: Length: 23'2" Beam: 9' 6" Approx. 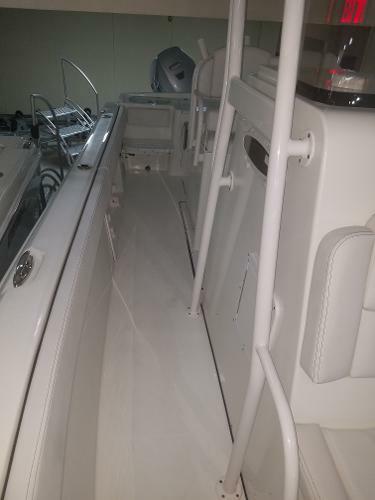 Weight: 3800 lbs Max HP: 300 hp Fuel: 110 gallons Transom Height: 30" Hull Dead Rise: 19° Draft: 19-21 Max Persons: 8 PRICE PLUS FREIGHT PREP AND FUEL. 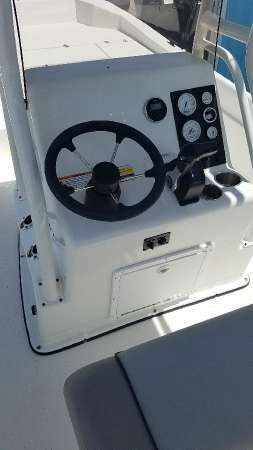 The 239 Offshore is available with your choice of single or twin outboard power. The hull is designed to handle the roughest of seas with ease. Loads of usable storage on the 239 means you can carry more and keep it all organized. Fishing is fantastic with ample rod storage and a huge cockpit. The 239 is 12" wider almost all other boats in it's class. There's no limit on features with the 239 CC. 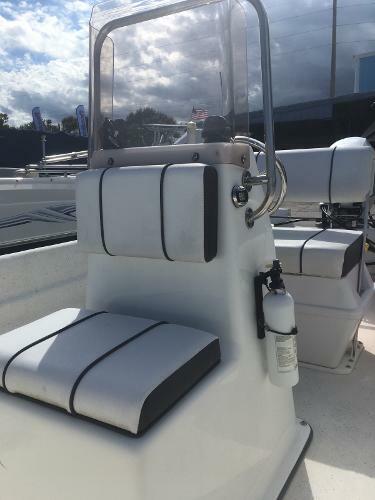 With 2 built-in tackle stations, an exceptionally wide 9'6" beam, LED-lit 45-gallon live well, large insulated fish box, and water-resistant Yamaha instrumentation, this boat is built for full-throttle fishing. Hit the bays or go off-shore knowing you'll be comfortable and safe. We have the best boats for sale in Florida.Price plus freight, prep and fuel charges. STANDARD FEATURES: 2 tackle storage compartments lifetime hull warranty 12 gallon fresh water tank Automatic bilge pump Cockpit courtesy lights Cockpit fresh water shower Cockpit washdown pump Compass Cooler with cushion Coosa composites construction Deluxe instrumentation panel with water-resistant switches and circuit breakers Full foam floatation High-speed baitwell pickup Hydraulic steering Large insulated fish box Leaning post with cushion Lighted 45 gallon livewell Lockable walk-in console Navigation lights Non-skid deck Self-bailing deck Stainless steel bow/stern eyes Stainless steel pop-up stern cleats Stainless steel rub rail insert Stainless steel steering wheel Tinted windshield Trim tabs 4 trolling rod holders Under gunnel rod holders SPECIFICATIONS: Length: 23'2" Beam: 9' 6" Approx. Weight: 3800 lbs Max HP: 300 hp Fuel: 110 gallons Transom Height: 30" Hull Dead Rise: 19° Draft: 19-21 Max Persons: 8 PRICE PLUS FREIGHT PREP AND FUEL. Located in the Melbourne showroom this great boat can get you on the water at a great budget. Powered by a 70 HP Yamaha. 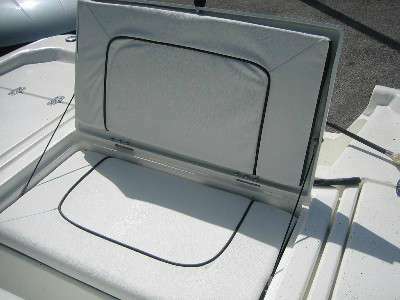 Accessories include Bimini Top,cushion package, trolling plug, rod holder, upgraded hull color an more. Give us a call and this boat can be yours. PRICE PLUS FREIGHT PREP AND FUEL. Easy to tow and easy on the wallet! Weight 975, Beam 82, GVW 23, Length 15'10". Welcome to our flagship 269 Off Shore. Designed for comfortable trips to Bimini Island, the 269CC is a great off shore performer. This uncompromising deep water machine loves to play in the ocean and does so with ease. Designed to safely carry you to the fishing grounds and back no matter what mother nature has in store. Comfortable seating at the helm and in the cockpit make the 269 CC a pleasure to enjoy all day. With a great riding wide beam (9'6") hull, look no further than the Bimini 269 Off Shore. The 269 Offshore is available with your choice of twin outboard power. The hull is designed to handle the roughest of seas with ease. 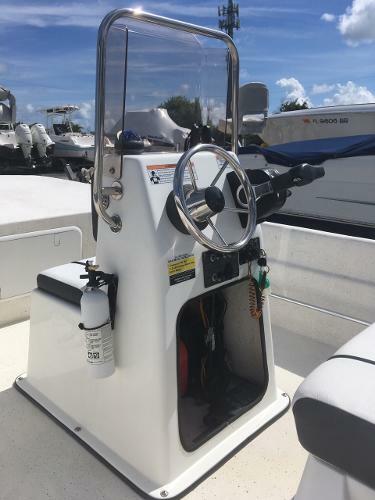 The cockpit is huge with lots of room for fishing or just good old family fun. Most competitors are 8' 6" wide. 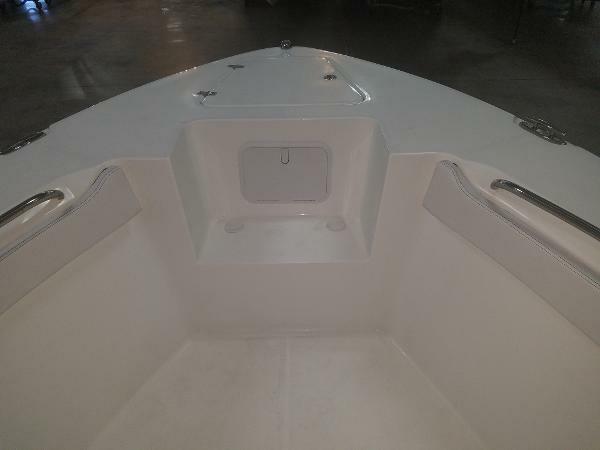 The Bimini 269CC is a full 9'6" wide hull which makes the boat feel much larger! The features on the 269 Offshore make it special. With a floor plan modeled after a 33' to 35' tournament fishing machine, the 269CC brings serious fisherpeople all the features and seaworthiness you need at a price anyone can afford. 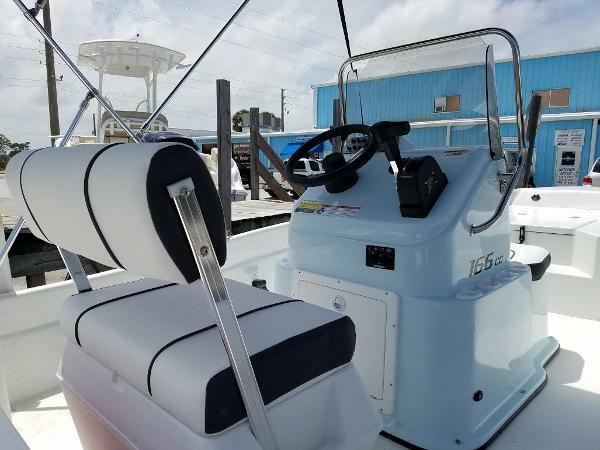 With 2 built-in tackle stations, an exceptionally wide 9'6" beam, LED-lit 45-gallon livewell, large insulated fish box, and water-resistant Yamaha instrumentation, this boat is built for full-throttle fishing. Hit the bays or go off-shore knowing you'll be comfortable and safe. 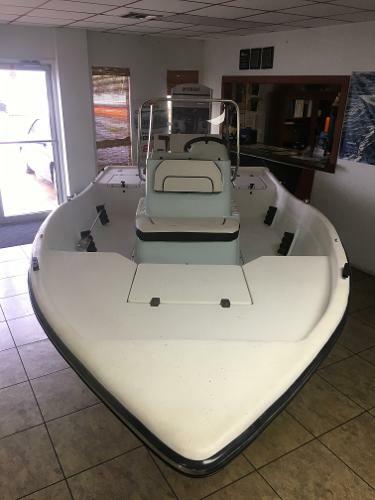 We have some of the best boats for sale in Florida. You will be amazed at the incredibly low fuel consumption of the 269 Offshore. Almost 2 miles per gallon at 25 mph and almost 3.2 miles per gallon maximum! Price plus freight, prep and fuel fee. - 2017 Bimini 269 Offshore, Twin Honda 150's PRICE PLUS FREIGHT PREP AND FUEL.